A challenge for every organization that grows a year older is how to stay relevant with the technology of today. Museums are a hotbed of content by definition. Social media for museums lets you digitize all of that for online consumption and visitor interaction. This will keep you at the top of followers’ minds. The Broad Museum often shares photos from their exhibits with the accompanying information. It gives followers insight on the exhibit, entices potential visitors and reengages those who have already seen it. In addition to finding new members, there are many people who visit museums while on vacation. Targeting people who plan for their trips and are more likely to post about it is an excellent strategy. The Q4 2017 Sprout Social Index found that consumers share and include brands in their shares most often during holidays and travel/vacation. 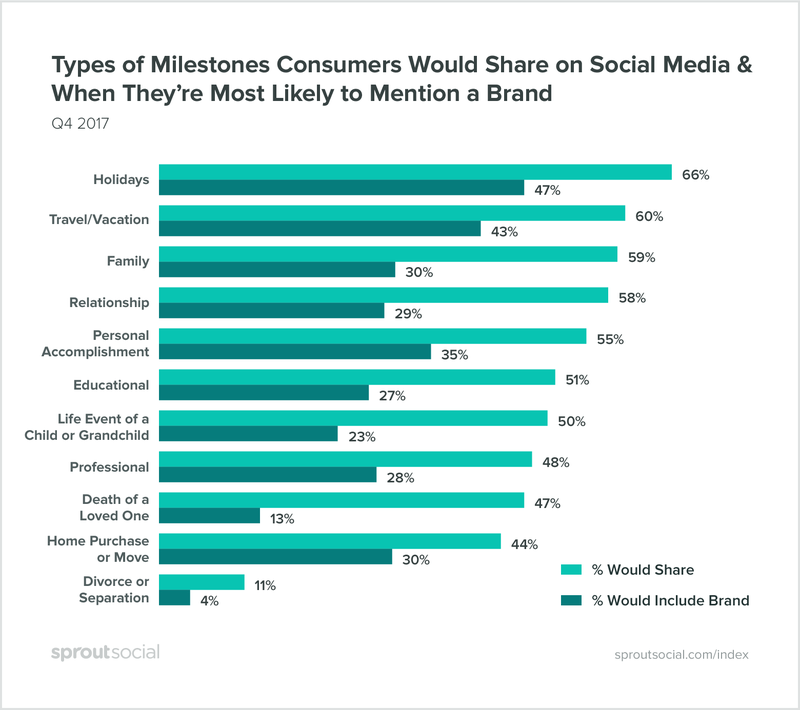 On vacation, 60% would share about it while 43% would include the brand. That’s a large percentage of people who would mention your museum if they visit during a vacation. In terms of planning, Pinterest’s own studies found that 40+ million people in the US are on Pinterest every month for travel ideas. Furthermore, 49% who spend $1000 or more on travel are on Pinterest. Even just optimizing your website for Pinterest can go a long way. We’ve divided this guide up into three parts. You can skip ahead if you’re looking more for strategies and inspiration. This wouldn’t be a worthwhile guide if we didn’t take you through the basics first. Whether you’re starting from scratch on a new social network or taking over from someone else, it never hurts to audit your pages. All the details matter in social media, especially when people are quickly perusing instead of methodically reading. If you can make information like your hours easier to access, then you won’t risk losing potential visitors. Why make them click through your website when you could easily display it in your social media profile where they already are? Facebook allows a lot of room for customization on their Pages. We’re not going to go into every detail that the network allows you to do, so we encourage you to explore your Settings. If you have a special exhibition that’s happening, pin a post about it to the top of your profile. Events are a common occurrence at museums. Create event pages for them and encourage your Fans to be notified when new ones pop up. Turn your response hours on. Do you use Messenger a lot? Put up an automated away message during your closed hours. The New York Transit Museum added a lot of details to their profile. They’ve added a Donate call-to-action button, gave their hours and turned on reviews. If you click further into their About tab, they let you know they have street parking available and provide a few public transit options. On Instagram, you should switch your account to a business profile. This gives you access to features like buttons for directions. In your Instagram bio, where you can give a snippet about yourself, you’ll be able to link hashtags and any other accounts. This is especially helpful if you have a brand that has multiple Instagram accounts. The final advantage of switching to a business account is that you can access analytics and advertise within the network. 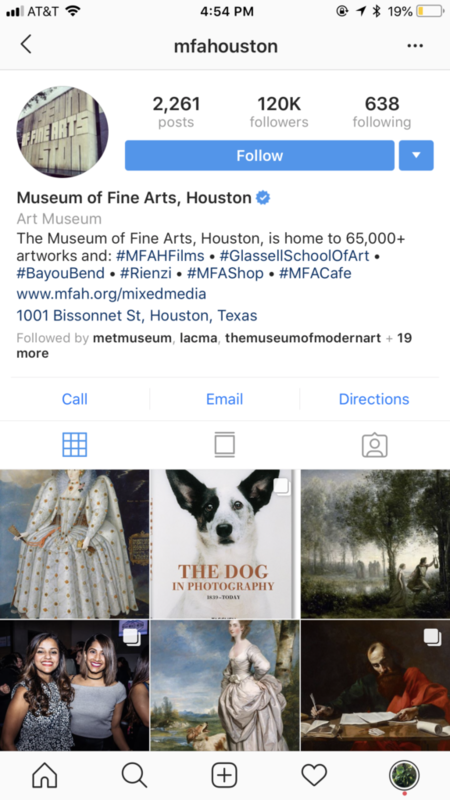 Museum of Fine Arts in Houston switched their Instagram account to a business profile. In doing so, they were able to add more details about their museum, like giving a phone number, email and directions. Additionally, they added their brand hashtags into their bio so all of their followers know which ones to use. On Twitter, your bio space is similarly condensed like on Instagram. It may take a while to get the right combination of words but you can fit hours into it. Alternatively, you can utilize your cover photo to include some necessary admission information. Twitter offers a few more options in terms of branding. You can choose a brand color, change your cover photo and keep a Tweet pinned to the top. Keep in mind that Twitter offers a night mode, so your profile photo should look good against both white and a dark gray background. The Reading Museum squeezes in information about both their admission prices and their opening hours in the biography section. When starting out on Pinterest, you should switch your profile over to a business profile. This allows you to access analytics and set up advertising. Your profile gives you some space to enter a website, location, some text for your biography and how you want your profile cover to look. For your Boards, you’ll want to make the names relevant to your brand and easy for search results. There’s additional space in the Boards’ description to add more keywords. 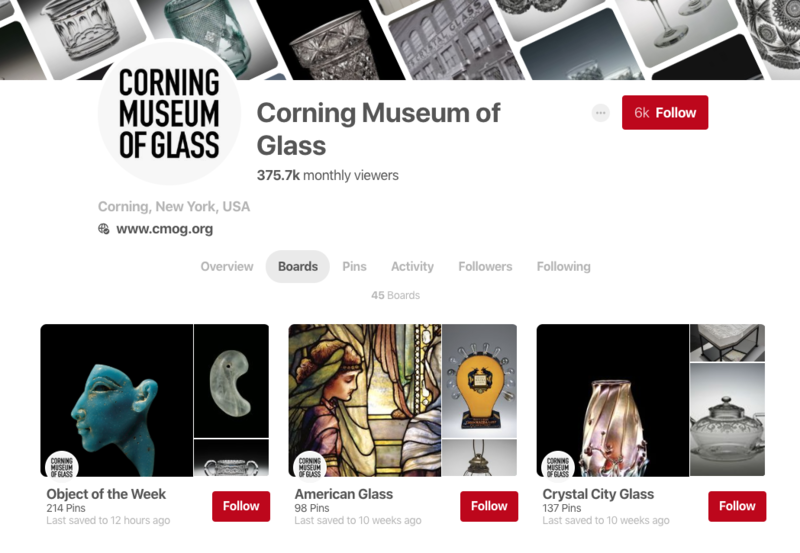 The Corning Museum of Glass linked their website to their Pinterest profile. On their profile, you see relevant glass Boards, and on the Activity tab, you see what people have Pinned from their website. Set aside a few hours to focus on taking an unbiased look at how your networks have performed. 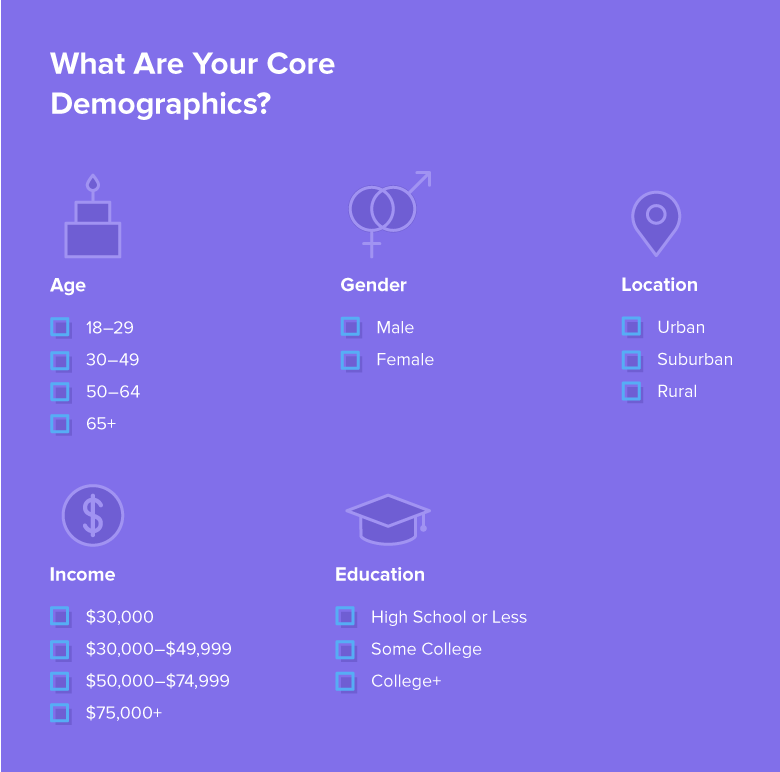 A social media audit (template included in this post) gives you the opportunity to examine everything from your current demographics to your most-shared content. If you’re reevaluating your strategy, an audit is where you should begin the process. Your museum’s social media team is part of your marketing team. This means that your social media manager needs to be dialed into what’s happening in your events department, your research department and your special exhibitions. 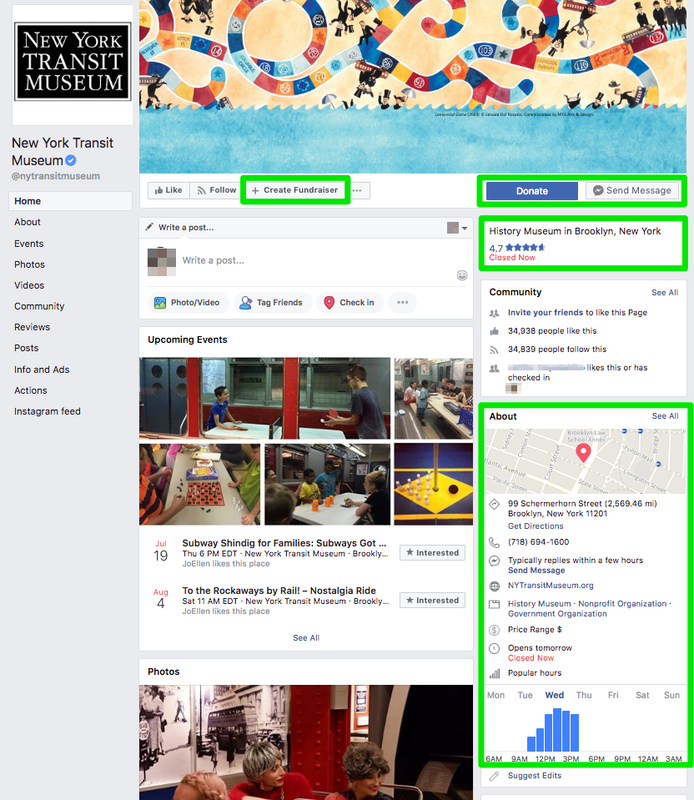 Depending on how your strategy is designed, you may find that your museum will use social media as a megaphone to all of the activities that are happening. To have an idea on how to get started on designing a strategy, check out our handy post and checklist. What are you hoping to accomplish with each network? If you’re using social media primarily as an educational tool, then your posts will be centered around your pieces with some sprinkling of promotions. Every network can have its own goals. A media-heavy platform like Instagram may benefit from more educational posts whereas a quick platform like Twitter may be better for sassy meme references. Understand the limits of each network, too. Facebook and Twitter are great for links while in Instagram, you can only link in an Instagram Story. Educate: Museums are first and foremost places to learn. That means there’s an endless supply of content to post about. Promote other features: Do you offer event space? Will you be hosting an artist talk or collaborating with a community business? All the neat projects that your organization undertakes can be posted onto social media. The bigger your museum is, the more you’ll need a robust internal communication strategy. How will your social media team receive information about what’s happening around the museum? Chances are that the team is small and it won’t do them any good if every employee suddenly sends them the coolest thing happening in their day. Instead, create channels of communication. What are the top three things happening in every department each week and can these be delivered by one person? The communication method can be as simple as an email or in-person meeting or as robust as a form. One way you can make it easy for employees to tell their own stories about the museum is through Sprout’s Bambu platform. 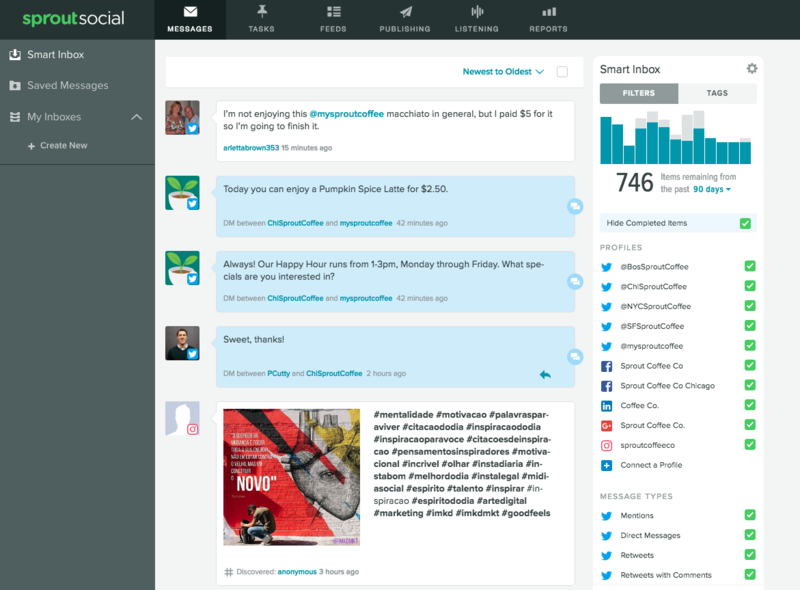 Bambu surfaces pre-approved stories that employees can then share on their social accounts with their own unique spin. This means your content will reach more audiences through employees’ networks, and you’ll be empowering them to relate these stories to their own experiences working at the museum. The side benefit of having a great internal communication program is that you’re able to share important social posts with the team. Employee advocacy will only amplify the content that you post. 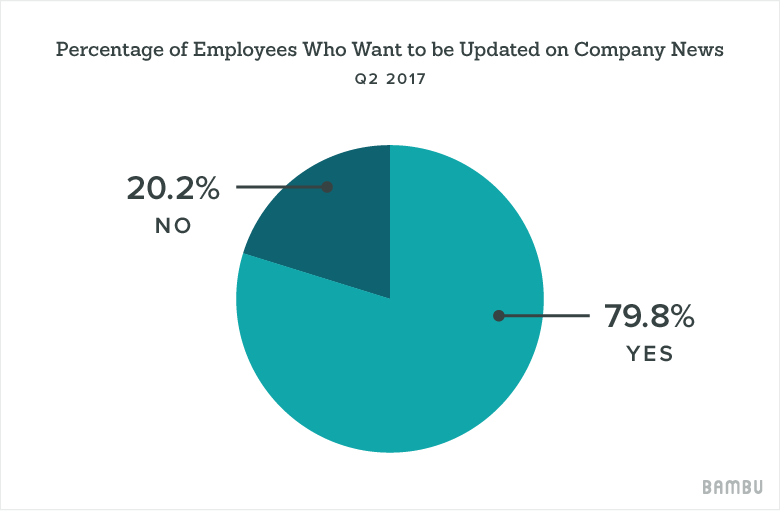 In one study conducted by Bambu, 79.8% of employees wanted to be updated on company news. Why? Knowing what’s happening in the company can help them be better at their jobs and helps them tell others outside the company about good news. Do you have a large, interactive audience online? It may be time for you to create and publish a set of community guidelines. Having this available will help guide how you moderate posts and comments. Community guidelines usually outline what you don’t tolerate and what can be grounds for being blocked or reported. Take a page from the Guggenheim Museum. Their social media guidelines are linked to from all of their social pages. Your Events team may find it necessary and interesting to start their own social media accounts. Before this happens, ensure that everyone has an understanding of the museum’s brand guidelines and voice. Each department or account may take on a different tone but the overall feel of the accounts should remain similar. If possible, utilize your bio’s space to link to other associated accounts. Or at the very least, include the parent account in the associated accounts’ bios. It ensures some continuity between accounts and lessens the confusion for followers. Sue the T-Rex in the Field Museum operates their own account with 41.3k followers. They’re sarcastic, entertaining and interact often with their followers. Given that Sue is such a draw for Field Museum visitors, it makes sense for it to have a separate account and unique personality. The way you write identifies you to your followers and fans. On social media, museums have a chance to be more entertaining than you may be allowed on an artist label. Creating and documenting your brand voice help you determine what you can and can’t post. Every organization has its own lexicon and writing it all down lets you stay consistent from print to web. The Philbrook Museum uses Twitter to showcase their museum’s current highlights and also to breathe a little entertainment into their timeline. They’re not afraid to poke fun at themselves or participate whatever is ridiculous on Twitter that day. Along with your brand voice, you’ll need to give thought to how you want to present your images. Will they be ultra-minimalistic or will they be more casual, behind-the-scenes shots? Are there images you don’t want to show? What colors (if any) do you want to highlight? What will the image subjects be? Are they all paintings? What angles will be best? Will every pottery piece be taken with a white background and at eye level? For Instagram, will how your grid look matter to you? If people will be included, will they be cropped closely around the face? Do they need to look straight at the camera? What filters or tones do you want to use? 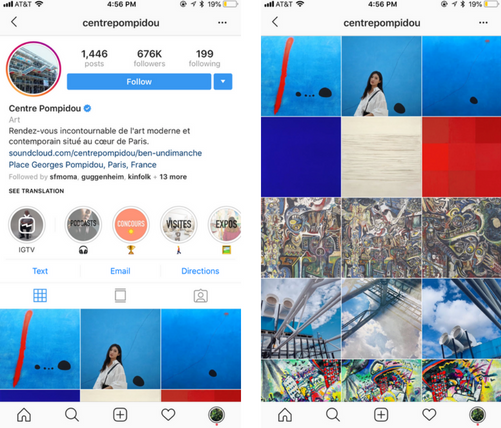 The Centre Pompidou uses the 3-column Instagram grid format in a distinctive way. Doing this helps them create a theme within three posts and encourages their followers to check their profile page on a consistent basis. Your social media content doesn’t need to live in its own bubble. Where ever possible, make sure people know that you’re on social media. This can mean a variety of things. To start, your website should at the very least have your social media handles in the footer or header. If you’d like to go a step further, you can embed your Instagram streams and optimize your website for Pinterest. When you have blog posts or news items on your site, ensure that your images are optimized for the networks that you’re on and have descriptive excerpts. At exhibits, especially special showings, create and display branded hashtags. If you encourage use of these hashtags while visitors are walking around, track them to engage with them. Use hashtags to highlight special exhibits, events or your gift shop. When Sue the T-Rex at the Field Museum was being moved, the display included the hashtag and encouraged visitors to watch the process. What could’ve been a boring exhibit relocation instead became an interactive and involved process. Now that you have your internal communications ready and flowing with information, it’s time to plan your content. Based on the goals you’ve established earlier, decide on what types of content you want to publish and how often. How often will you talk about membership benefits and how often will you participate in fun holiday trends? Will you post any user-generated content? 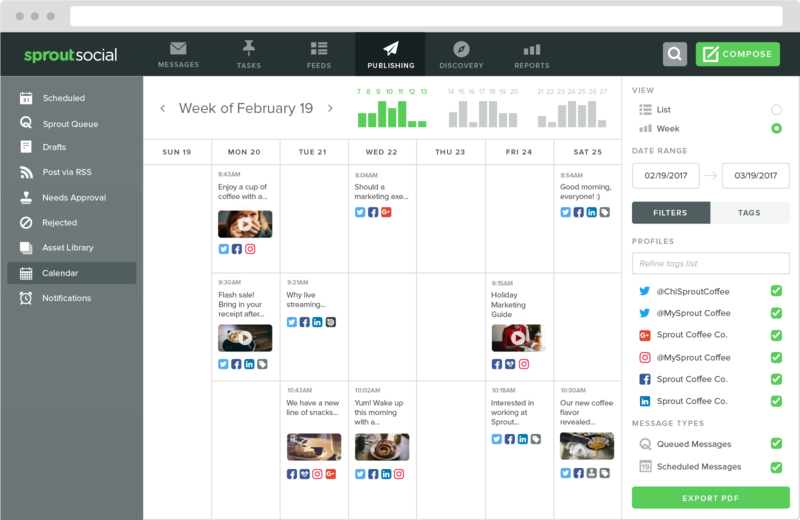 To help manage what you’re pushing out across multiple networks, use a tool like Sprout Social to easily schedule and see what’s going out when. You can even have draft posts show up on your calendar. You may also find it necessary to set aside time each week or month for photoshoots. Depending on detailed your image guidelines are, a smartphone photo might not cut it. With your new strategy and planned posts, the next item to focus on is engagement and analytics. You will find that the more your posts resonate with your followers, the more people will want to interact with you. This brings you to another issue: how will you monitor messages and hashtags? Let’s say you decided to launch a campaign on Twitter. You’ve asked people to interact with the campaign by using a branded hashtag. They might reply to you and/or use the hashtag. Are you going to keep two Twitter windows open so you don’t miss a Tweet? What if someone misspells the hashtag – will you be able to find the Tweet? Make it easier on yourself to invest in an all-in-one tool that helps you monitor and easily respond to messages across multiple networks. This management tool is especially handy if you have multiple accounts on the same network. 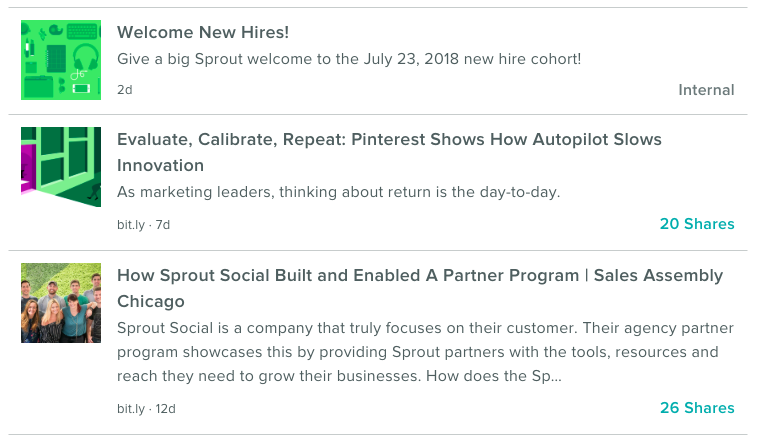 Sprout’s Inbox feature puts search results and brand messages in one view so you’ll never have to click away to find a hashtag search result. The final step in establishing a strategy is always to look at your analytics and reevaluate content or decisions. You can use analytics to see how well you’re reaching your brand awareness goals or if a campaign was successful. In addition to standard network reports, Sprout offers engagement reports, competitor analyses and campaign reports. Find a reporting solution that works for your organization’s needs. Your head is probably whirling with information now. To end this guide, we’d like to share some marketing tactics that we’ve seen in social media for museums. Some of these ideas might help inspire your next post. 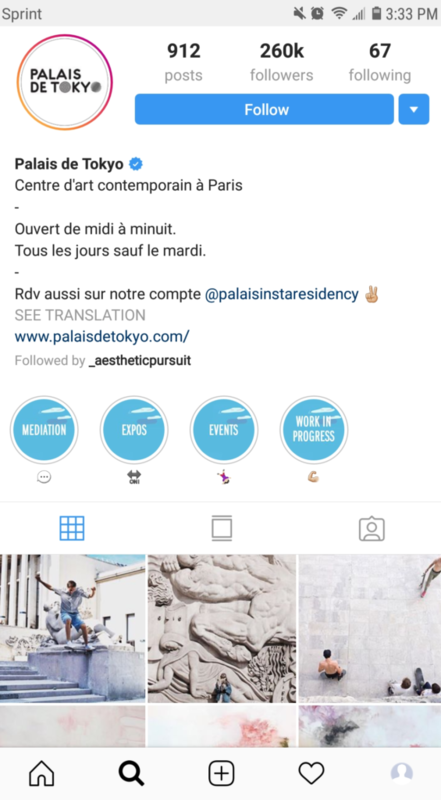 The Palais de Tokyo Instagram profile page utilizes the Highlights feature to talk about what’s important to them. You’ll notice that each Highlight has its own branded cover. You can use Highlights to answer commonly asked questions, share about special exhibits and give behind-the-scenes tours. The Tate dedicated a whole week to their volunteers, sharing fun facts about them and a photo. Highlighting the people who make the museum special (besides the artists and creatives) makes them feel more empowered and invested in the organization. It’s employee recognition. You can incorporate this as an ongoing series and highlight people in a variety of ways. Perhaps one week it’s a single department and another week it’s about the interns. There are many fun hashtag holidays that occur and it’s up to you to decide which ones to participate in. At first glance, World Emoji Day doesn’t seem like it would be relevant to a museum. However, the Royal Ontario Museum found a way to capitalize on the hashtag and create entertaining content for their followers. Followers responded with their favorite emoji and the museum answered with a corresponding art piece. Plan ahead to find the most relevant hashtag holidays for you. It may take some creative thinking but you may find that your museums’ collections match up to even the most absurd of days. When people visit and mention your brand, use it as a way to educate them. This does take some finesse since not all posts are meant to be responded to with facts. The J. Paul Getty Museum found a way to interact with a fan’s Tweet and responded with pun and more information on the included painting. Not every museum has digital archives readily available. However, search engines and your own exhibits are steps away and you can easily educate followers when it’s relevant do so. Forty-two museums in New York City partnered up for #MuseumInstaSwap. This opportunity gave museums a chance to interact with each other and expose their collections to an audience that is more likely to be interested in them. You don’t need to coordinate with so many museums to make an impact. You can easily take this on with one other area museum, aquarium or park. The idea is to share content and spread brand awareness. If you’re dipping your toes into social media advertising, start with a piece of your educational content. After entertainment and discounts, education is the next biggest type of engaging social ads. 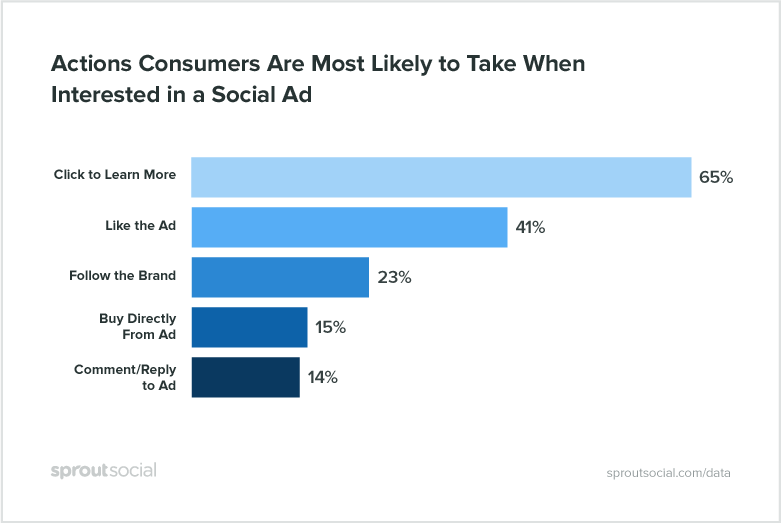 Our Social Advertising Report found that education in a social ad appeals to one-third of people. Even better, 65% are interested in clicking to learn more. This is especially relevant for museums because they’re filled with educational content ready to be shared with the world. The National Air and Space Museum conducted a live interview on Facebook about the women involved in the Voyager missions. They took questions live and the video stayed on to continue more engagement. 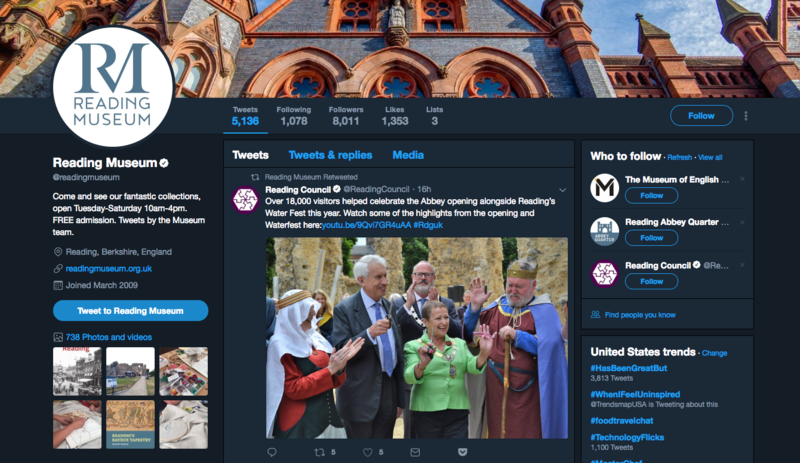 This guide walked you through managing social media for museums in three parts. We first examined the basic setup that any museum would want. Next, we examined how you wanted to present your museum to the world and what to pay attention to. And finally, we provided some real-life content from museums around the world to help inspire you. There are huge opportunities for museums to engage audiences with their unique and educational content. We’d love to hear your comments on which strategies you have used or have caught your eye.